Kyrgyzstan's Sooronbai Jeenbekov. File photo: Government.ru, Wikimedia Commons. 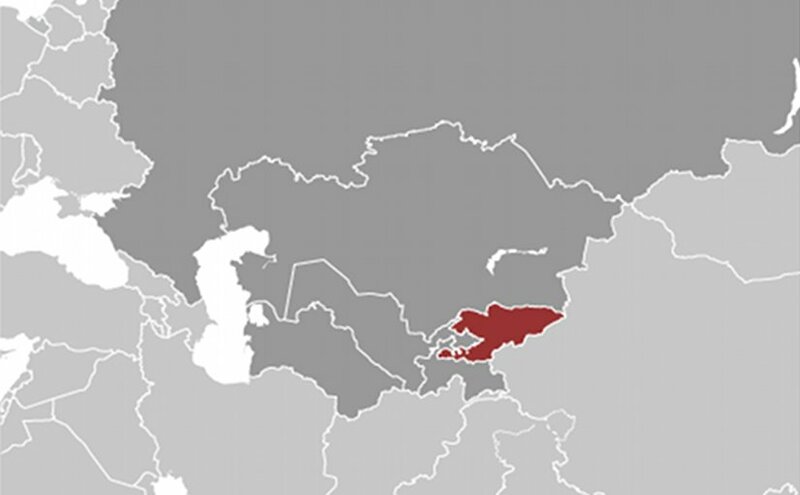 Kyrgyzstan has chosen a new president, but it remains to be seen if he will really be in charge. In a surprise development, government party candidate Sooronbai Jeenbekov swept to victory in the October 15 presidential election, winning 55 percent of the vote and thereby avoiding a widely anticipated runoff. His closest rival, multimillionaire Omurbek Babanov, garnered 35 percent of the ballots cast, and defied expectations by grudgingly accepting defeat. Despite securing a 20-point margin of victory, Jeenbekov, 58, finds himself confronting a legitimacy hurdle. While his vote total would be the envy of many western politicians, in Kyrgyzstan, it represents a historically weak mandate. Outgoing president Almazbek Atambayev, who was limited constitutionally to one term in office, won the 2011 election with 63 percent of the vote. Medet Tiulegenov, a professor of international and comparative politics at Bishkek’s American University of Central Asia, said Jeenbekov’s victory is, in reality, a win for Atambayev. “It will be very hard for Jeenbekov, and he will have to build relationships with civil servants to prove that he is not Atambayev’s puppet, but an independent player,” Tiulegenov said. Tiulegenov added that Atambayev figures to remain an important behind-the-scenes political player, primarily holding the balance of power between Jeenbekov and the 40-year old prime minister Sapar Isakov. Both owe their political fortunes to the Atambayev-founded Social Democratic Party, or SDPK, the governing party of which they both members. In the wake of the 2010 uprising that ousted former president Kurmanbek Bakiyev, changes were made to constitution that ostensibly redistributed power away from the presidency. Atambayev tinkered with the rules again in 2016 — and got the changes adopted via a highly contentious referendum — to yet again enhance the role of the prime minister and, to a lesser extent, parliament. One glaring shortcoming to the existing premier-president tandem is that the executive remains, in theory, reliant on a shaky, three-way parliamentary coalition, comprising the SDPK, which holds 38 out of the 120 seats, the Kyrgyzstan Party and Bir Bol. This state of affairs prompted an unsigned AKI press news agency commentator to suggest in a post-election snap analysis that more political developments may be in the offing. “For the guaranteed preservation of this system, the SDPK needs a more solid majority in the Jogorku Kenesh [parliament]. This means that early parliamentary elections are a real possibility,” the commentator wrote. Jeenbekov began his political journey by rising through the ranks of the collective farm system in the Soviet Union. Then, in 1995, he was first elected to parliament. At various times, he has served as agriculture minister, head of the presidential administration and governor of his native Osh region. In April 2016, he became prime minister, a position he vacated in August 2017 to concentrate on presidential campaigning. Tiulegenov described Jeenbekov as more of a manager than the leader. “He would be better off running ministries, but that is Isakov’s prerogative now. It will be hard for Jeenbekov to work on the ideological front. He’s nothing like Atambayev in his manner,” Tiulegenov said. “Furthermore, the elections were held concurrently with several criminal cases against opposition politicians or others supporting one of the main candidates,” the OSCE report noted. Among the most serious areas of concern for monitors was the way in which vote officials appeared to rely so heavily on the electronic scanners installed on ballot boxes, which were used to produce almost instantaneous preliminary results. “More than one in five [precinct election commissions] relied on the results produced by the ballot scanners instead of manually counting the votes, which is required by the law,” monitors said in their findings. While there is a broad consensus among local political analysts that Jeenbekov benefitted significantly from “administrative resources” — which can comprise anything from abuse of control over state media to putting pressure on state workers and university students to vote for a preferred candidate — some pin Babanov’s defeat on his weakness as a candidate. “He did pretty well, despite the fact that his oligarch image didn’t play well in such a poor country,” said Igor Shestakov, a generally pro-government-leaning analyst. To the relief of many, Babanov tacitly accepted defeat and pledged in the meantime that his team will continue to investigate claims of electoral violations. “I believe that everything is to be done by legal means. I am certain that we will be victorious in future. Whatever doesn’t kill us makes us stronger,” said Babanov, whose Respublika/Ata-Jurt party holds 28 seats in parliament. Jeenbekov will have some tricky tasks to deal with once he formally assumes office in December. Political analyst Mars Sariyev recommended that Jeenbekov first address the thorny matter of relations with neighboring Kazakhstan. Kyrgyzstan and Kazakhstan became embroiled in an undignified diplomatic row after Atambayev accused Astana, in highly incendiary terms, of throwing its support behind Babanov. “Jeenbekov needs to sort out this situation with Kazakhstan, because this has been a massive blow to our relations. He should, first and foremost, smooth things over on a personal level,” Sariyev said. *Nurjamal Djanibekova is a reporter based in Bishkek, Kyrgyzstan.